Just steps away from one of Aruba’s finest beaches, the Eagle Beach. 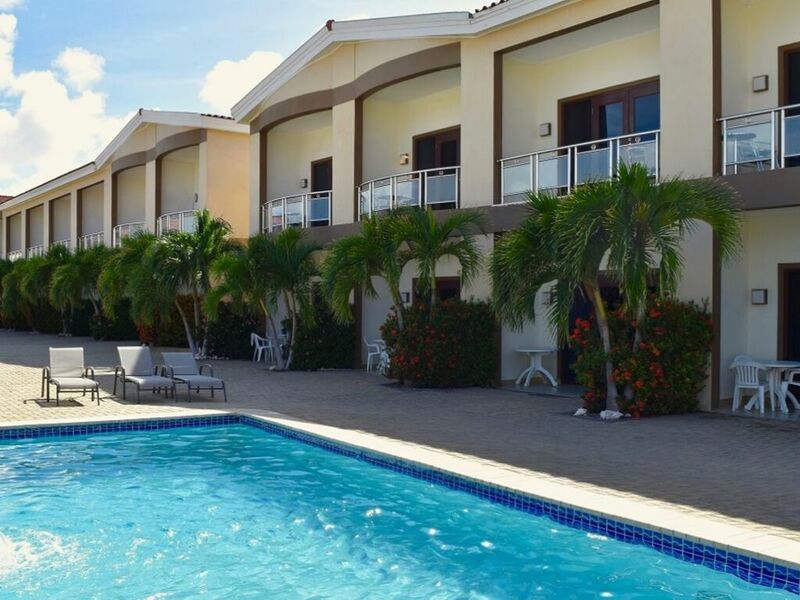 Aruba Breeze Condo is a great place to relax and feel the comfort and convenience of your own home. Both bedrooms feature a queen size bed, dresser, private bath and shower, air conditioning and a private balcony. 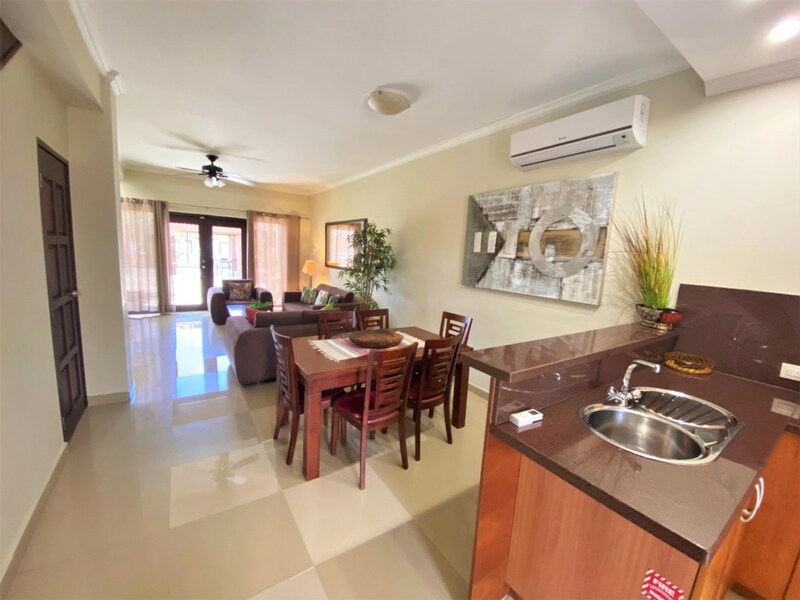 The kitchen is fully equipped with a full size refrigerator, gas stove, toaster, coffeemaker, microwave, and dishwasher. There is also a seperate laundry closet wtih a washer and dryer. 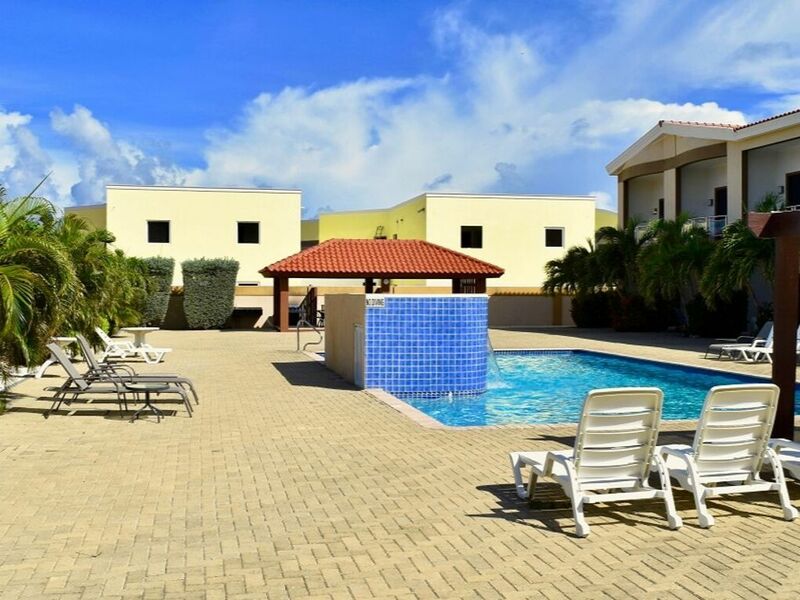 The property is gated and completely enclosed and has a large communal swimming pool with beautiful landscaped gardens and a fitness room. You can park your car on the premises. If you love to BBQ, there are gas grills available right next to the large gazebo with tables, chairs and ice in the freezer. 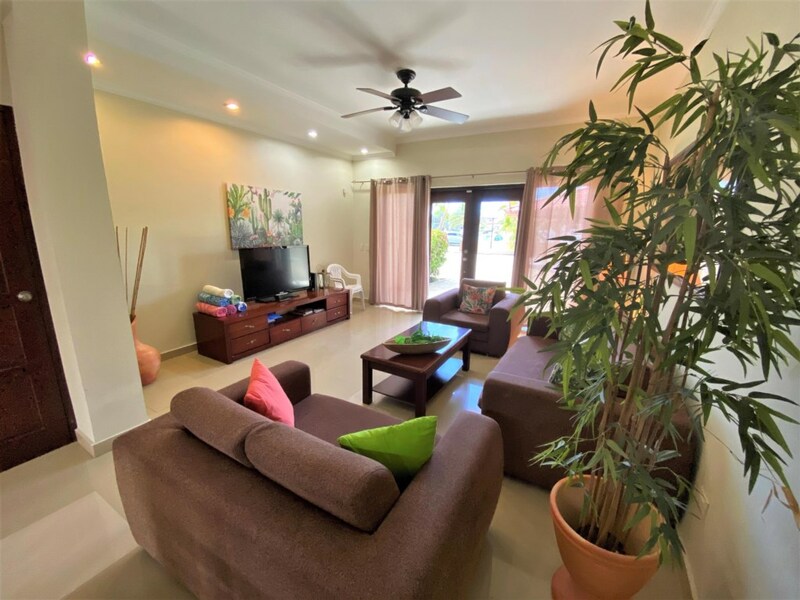 You will love this Caribbean apartment which is located only a few minutes by car from Oranjestad and all the beautiful beaches Aruba has to offer! 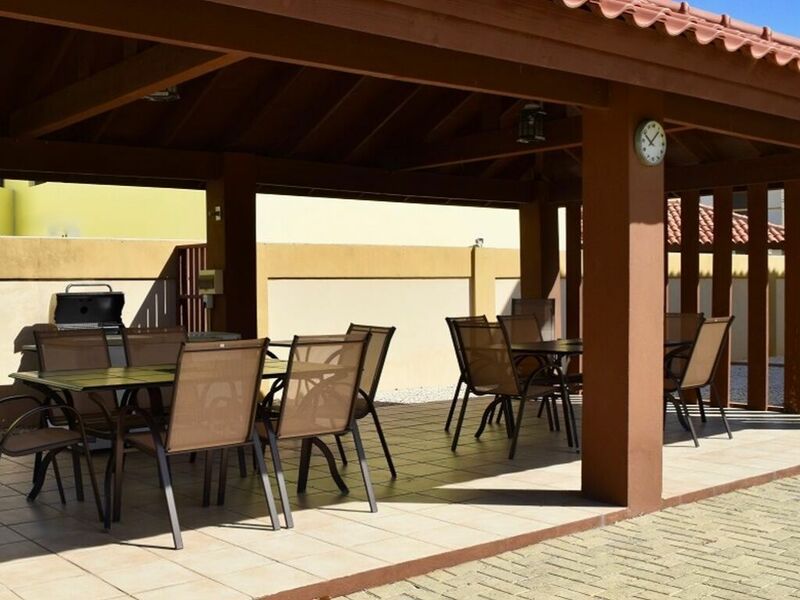 The total rate includes 15% tax / service charge, final cleaning, bookings fee, an allowance for water and electricity in the amount of US$ 15, - per night and Free High Speed Wireless Internet. Over usage of utilities, will be to your discretion and at your expense. 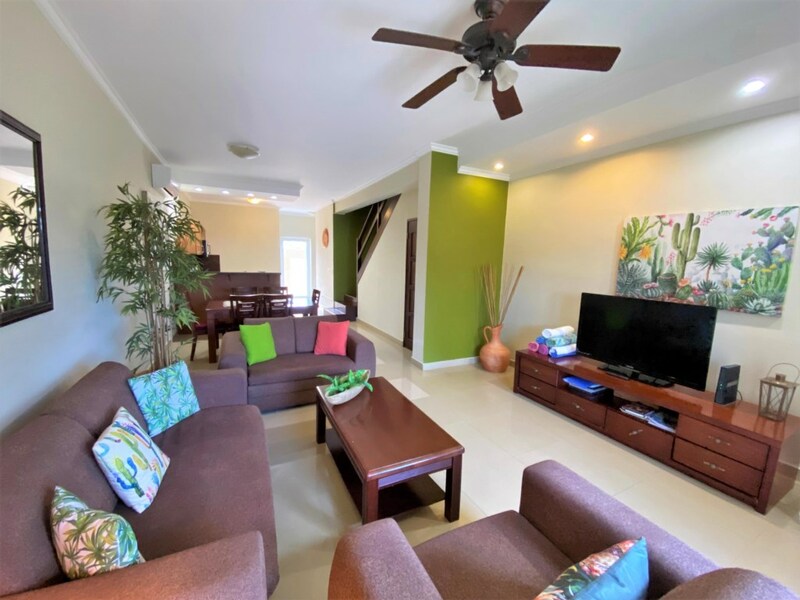 Upon arrival, a refundable security deposit is required of US$ 400, -. Our family enjoyed our stay in Aruba Beeeze Condo. Location, accommodations and friendliness of staff were excellent! Definitely recommend to anyone considering !